My hair is one of the banes of my existence. It’s wavy, it’s frizzy, and it’s a bit curly. 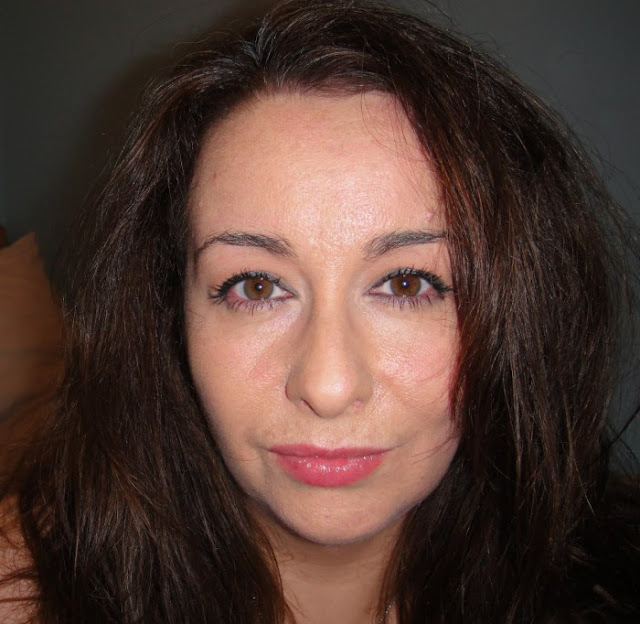 This was it a few years ago when I attempted a quick blow dry, something I’ve not bothered even trying to do since. It’s big, my hair, and not in a good way, it simply wants to fill the room with itself, and choke anyone who gets in its way. It hates you, my hair, but it hates me even more. A couple of years ago, I went the “No-Poo” way, and that was a complete disaster, my hair was lank and horrific, and never ever felt clean. 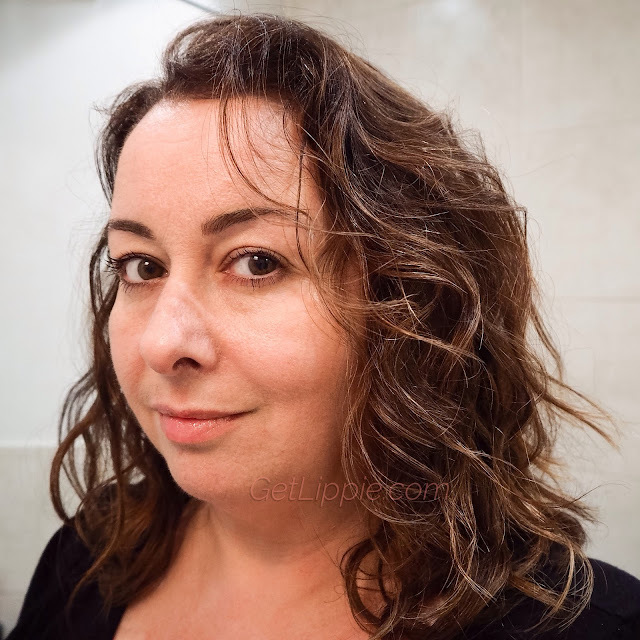 Then I tried using hair gel as a “cast” to create curls, and that was better, but my hair was still prone to frizz as it dried – I prefer air-drying to blow-drying, always, but the results can be unpredictable. Basically, with my hair, you simply never know what you’re going to get on a day by day basis. But now I think I’ve cracked it. The difference is “plopping”. Something you’ve probably heard of, and the idea is – basically – to tip your head over, as if you were about to scrunch-dry your hair with a diffuser, and then just lower your curls onto an absorbent material and wrap them up. Where it differs from a normal turban-style wrap with a towel is that you don’t use a terry towel (they remove too much moisture), and you don’t stretch out your hair into the twists of whatever material you’re wrapping your hair up in. So, I bought myself a curl-towel from Boucleme, and have been trying it for myself. I also treated myself to some of their curl defining gel (you need something that sets hard for this, otherwise it won’t give enough hold to your curls as they dry). I washed with Rahua shampoo and used their hair mask (but to be honest, you can use any good and moisturising shampoo and conditioner combo that you wish, these just happen to be my hair trials of the moment). Wash and condition your hair as normal, using a good, moisturising conditioner. Squeeze out as much water from your hair as you can with your hands, trying not to agitate it too much. Have your curl towel (you can use a t-shirt if you don’t have a special curl towel, but not a normal terry-towel) onto a flat surface. Gently lower your curls into the middle of the material you put onto the flat surface, until your head touches the towel. Twist those wings until the fabric gathers over your ears, then tie them up at the back of your neck. Look at yourself in the mirror, marvelling at how stupid you now look. By the way, there should be no hair in the wings of your material, it should all have been in the centre, so when you stand up, your hair is all now on the top of your head. DO NOT RUB YOUR HAIR AT ANY STAGE. And voila, that’s IT! Just leave the towel on until your hair is no longer sopping wet, and remove it to let your hair air-dry (you’ll have to arrange your curls slightly to ensure they fall properly) or diffuse your hair through the towel until there’s only a very little moisture left. If your hair looks like it will be a bit fluffy once you’ve taken the towel off, just add a little more gel. Once your hair is completely dry – the gel will be crunchy at this point, btw, but it’s necessary! – scrunch the curls gently in your hands. The gel will disappear, leaving you with soft, FRIZZ FREE curls in their natural curl formation. This was how mine looked after 30 minutes or so “plopping” in the Boucleme towel, then I left it to dry naturally for a couple of hours. I gently scrunched it to break the gel “casts” my curls had dried into, and this was the result! My hair is soft, bouncy and shiny, I really like it! I had no idea I could get those beachy curls without heat, or any real effort at all, so it was an added bonus. The Boucleme towel has made all the difference for me, it’s basically cotton and bamboo with a hint of elastane and it works really well. For the price of £19 though, I would have expected hemmed edges, rather than the rough scissor marks that are on mine, as £19 is quite expensive for what is, essentially, a big rectangle of stretchy t-shirt fabric. The curl defining gel by Boucleme though, I can’t really fault. It smells fresh and clean, dries hard, creates fab curls and disappears completely without a trace once you scrunch it out. At £15 for 300ml, it’s a big (and not cheap) bottle, but as it’s designed to be used in a generous application, so I’m not sure how long it will last. I’ll definitely be re-purchasing though, regardless. I used to use Deva-Curl which you can only source from Amazon, and it’s breath-takingly expensive for hair gel, as they import it from the US. The Boucleme is just as good, if you ask me, and much easier to find. So, please share your curly hair tips with me in the comments, I’ll be ever so grateful! Your hair sounds exactly like mine. It basically does exactly what it wants, usually with added frizz. Redken have just brought out a range called Frizz Dismiss – and my hair is almost well behaved frizz wise since I started using it. The ultimate hair masque has to be Espa pink hair mud- pricey but lasts forever & leaves my hair silky for up to two weeks. A miracle in a jar, I kid you not. Same problem here. Contemplating chopping mine all off as it's such a faff sometimes. If all else fails, I normally find towel drying then plaiting in a tight fishtail braid leaves you with beachy waves once dried if you're a fan of those. I was given fantastic advice by a lovely nurse whose hair I admired – 'the tub of pink curl creme from Boots'. She told me to use just a bit and scrunch it in. I haven't got my lazy bones down to Boots yet, but if I get hold of some and it works as well for me (fine hair, wavy curls) as it did on her gorgeous thick, tight curls I will certainly be crowing about it! As it's cheap as chips, I figure I have to give it a go. You may feel likewise.